The Arbitration and Conciliation Act, 1996 (“the Act”) is an imperfect legislation that has required a few illuminations from time to time to make the alternate dispute resolution (“ADR”) process laid-back and interference-free. One such corrected provision is present under § 17 (“the section”) that gives an arbitral tribunal the power to issue interim measures at the request of either parties. A similar right is available under § 9 of the Act where the parties can approach any Court for issuing interim orders. Now, parties can apply under either of the sections subject, however, to the rule laid down in § 9 (3). The rule prevents courts to entertain any such requests if an arbitral tribunal has been constituted unless the remedy under the section will be rendered efficacious. “17. Interim measures ordered by arbitral tribunal — (1) Unless otherwise agreed by the parties, the arbitral tribunal may, at the request of a party, order a party to take any interim measure of protection as the arbitral tribunal may consider necessary in respect of the subject-matter of the dispute. It was certainly a development from the 1940 Act where no such power was conferred on the arbitral tribunal. Sub-section (1) above indicates that the parties may by agreement exclude the exercise of such a power thereby encouraging the autonomous nature of ADRs. However, even this provision had its shortcomings. The power was limited to the extent of reference to the arbitration agreement. Incidentally, the section does not provide for any means of enforceability in the manner a court’s orders are enforced. When the position was challenged, the High Court of Delhi drew attention towards § 27 (5) which clearly lays days down that any person in contempt of the arbitral tribunal during the conduct of the proceedings shall be liable to punishment from court. However, if the arbitral tribunal applies to the court for contempt of its interim orders, only then will the court be able to proceed further which in due course defeats the whole purpose of ADRs. The arbitral tribunals don’t have powers to enforce their interim orders on their own accord and issuance of contempt proceedings by way of application to a court seemed like a long, unnecessary and cumbersome process to put the parties through. and the arbitral tribunal shall have the same power for making orders, as the court has for the purpose of, and in relation to, any proceedings before it. Non-adherence of orders issued under the section can lead to contempt of orders and the Tribunals do not have to approach the High Court anymore for enforcing its orders. Therefore, § 27(5) has now been rendered affectless and the ADR process has become a tad bit more self-sufficient. The High Court of Kerala appropriated a detailed analysis of the term enforcement as used under the Act in the case of Pradeep K.N. vs. Station House Officer. It discussed how “enforcement” is different from “execution” and the former must be enforced in terms of § 94 of CPC when it comes to interim orders of the tribunal. Only awards under § 36 require execution through proper procedure under CPC. The decision was relied on in the case of Sakthi Finance Ltd. vs.Ansu K.H., however, here the interim order was held to be vague as no specific time period was provided by the tribunal to deposit the security amount in question. The order was unenforceable. This means that even arbitral tribunals must pass specific orders so as to be enforced. Further, in the case of Sundaram Finance Ltd. vs. P. Sakthivel the High Court of Madras has laid down that any interim order for attachment of property delivered by an arbitral tribunal should be read with § 94 and follow the procedure under § 136 of the CPC, and as such “any property” even if it is not the subject matter of the arbitration can be attached. This puts arbitral tribunals at par with courts. Following on these lines, the Supreme Court confirmed that tribunals do not have power to affect the rights and remedies of third parties. In Lanco Infratech Ltd. vs. Hindustan Construction Company Ltd. it was held that the tribunal erred in passing interim orders based on substantive claims which are speculative in nature. Only losses which are quantified are under the jurisdiction of § 17. Further, even if the section puts an arbitral tribunal at par with courts, it still does not give it power to appoint the High Court’s Receiver for carrying out interim orders. The amendment has achieved part of the purpose of making the Act simple, less technical and more responsible towards the realities of the situation, but unnecessary litigation by parties in order to delay the process has resulted in a back log of cases that remain pending in courts throughout the country. Parties and even advocates need to understand and consider arbitration as serious as any other judicial proceeding. 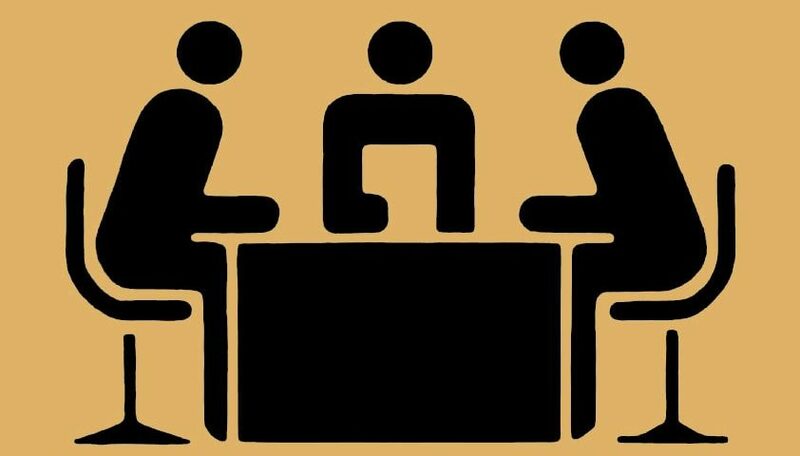 They tend to approach the court at every step of the proceeding, starting right from referring the dispute to arbitration. If India were to develop as the world center for arbitration, such inadequacies need to be sorted with due regard to time and costs involved. Minimum interference by courts is the primary concern to a well developed and robust arbitration proceeding in the country. Act No. 26 of 1996. Wind Word (India Ltd. vs. Enercon Gmbh, 2016 SCC OnLine Bom 1404; Tufan Chatterjee vs. Rangan Dhar, AIR 2016 Cal 213. Arbitration Act, 1940 (Act No. 10 of 1940). Managing Director, Army Welfare Housing Org. vs. Sumangal Services (P) Ltd., (2004) 9 SCC 619, 649. M. D. Army Welfare Housing organization vs. Sumangal Services Pvt. Ltd., 2004 9 SCC 619. Sri Krishan vs. Anand, (2009) 3 Arb LR 447. As available on http://www.lawcommissionofindia.nic.in/ (last visited 14th January 2019 at 12:22 p.m.). Alka Chadewar vs. Shamshul Ishrar Khan, (2017) 16 SCC 119. This section allows the Courts to order certain interim reliefs to secure ends of justice. Act No. 5 of 1908. 2016 SCC OnLine Ker 34702. 2018 SCC OnLine Mad 3080. This section lays down the procedure to be followed where the person to be arrested or property to be attached is outside the jurisdiction of the District Court that passes the order of arrest or attachment. State Bank of India vs. Ericsson India (P) Ltd., 2018 SCC OnLine SC 497. 2016 SCC OnLine Del 5365. Shakti International Pvt. Ltd. vs. Excel Metal Processors Pvt. Ltd., (2017) 3 AIR Bom R 388. 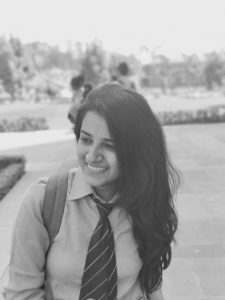 Akshita Bohra is a final year B.B.A. LL.B. (Hon’s in Corporate Law) student at UPES, Dehradun. In the past, her area of research has covered both corporate and litigation aspects. 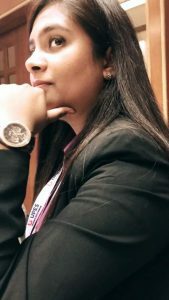 She has interest in Company Law, Insolvency Law, Competition Law and Dispute Resolution. Shreya Dixit is a final year B.Com. LL.B. (Hon’s in Taxation Law) student at UPES, Dehradun. She is also a post-graduate in Bharatnatyam. Her area of interest concerns primarily Tax Laws. She is currently preparing for the Delhi Judicial Services Exams.